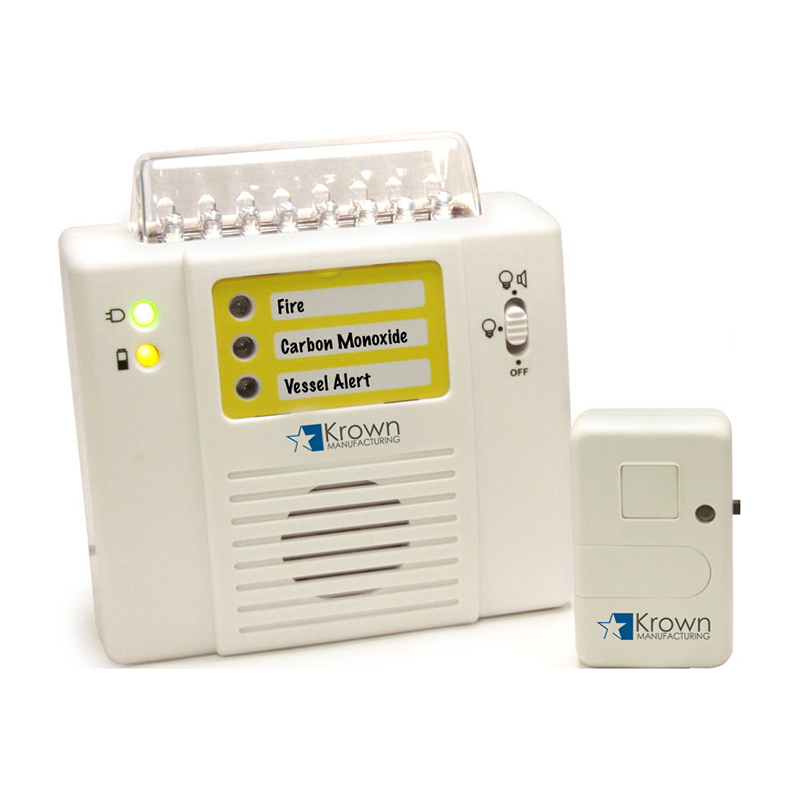 WA120 Weather Radio Alert Kit - Krown Manufacturing, Inc. The latest in weather and hazard alert monitoring technology, providing you with the information needed to keep you safe. Public Alert Certified. Unit has a special receiver that tunes to the 24/7 broadcast issued by the National Weather Service. The combined All Hazards/Weather Alert broadcast network is the single most immediate source for comprehensive weather and emergency information available to the public. Innovative automatic alert system. Want to add a Receiver? 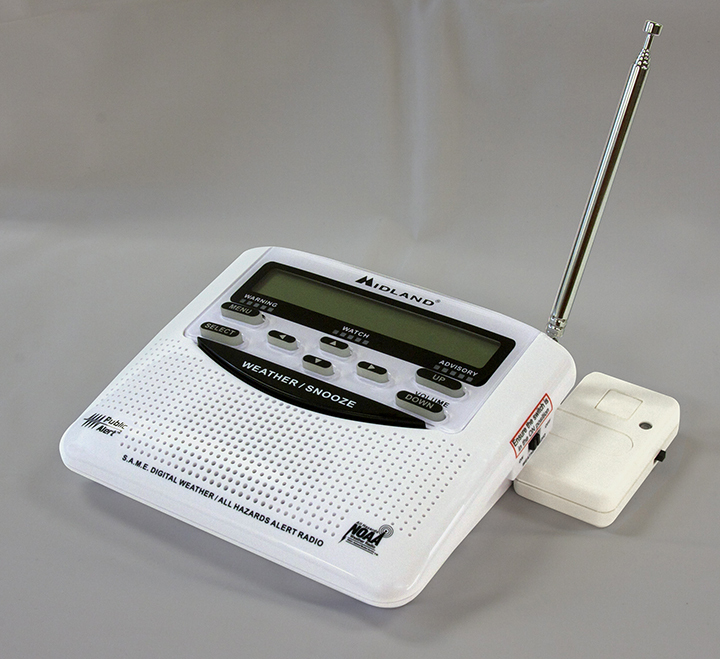 In the event of a special warning broadcast, the radio is automatically activated along with a loud tone, a flashing LED indicator and an “alert” message on the LCD. Emergency weather bulletins include alerts about: tornadoes, hurricanes, floods, ice/snow storms and other severe weather. Other emergencies might include: Amber alert, hazardous explosions, fires, chemical spills and other civil emergencies. 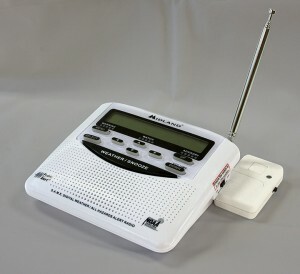 In addition, this weather radio has the “S.A.M.E. Digital Weather/Hazard Alert” feature, providing you with constant monitoring of your localized NWS broadcast. The S.A.M.E. 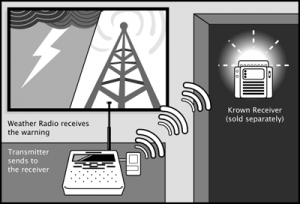 decoding receiver allows you to hear only messages for the area(s) concerning you. Runs on AC power (adapter included), or 3 AA batteries. As of April 28, 2014 the maximum civil penalty for a first violation of Title III of the ADA rose to $75,000 for each violation. For subsequent violations, the maximum has been increased to $150,000.